Luis Enrique’s team were held to a 1-1 draw last weekend at Real Sociedad, a result that leaves them six points behind leaders Real Madrid. Zinedine Zidane’s side recorded a sixth straight victory in the league on Saturday of last week with a 2-1 home win over Sporting Gijón. All in all, it could be an important moment in the battle for the league title; a victory for Barça would see them just three points behind the leaders, a win for Madrid would stretch their lead over the blaugranes to nine points. Jérémy Mathieu was ruled out this week for another two weeks at least with a recurrence of his calf injury. Fellow defender Jordi Alba is over a knee and ankle injury and Andrés Iniesta has recovered from a knee problem which has kept him out for the last six weeks. Samuel Umtiti made his comeback from injury in midweek in the draw away at Hércules in the Copa del Rey and is also included the squad, which reads as follows: Ter Stegen, Cillessen, Piqué, Rakitic, Sergio, Denis, Arda, Iniesta, Suárez, Messi, Neymar Jr, Mascherano, Paco Alcácer, Jordi Alba, Digne, Sergi Roberto, André Gomes and Umtiti. Zinedine Zidane is not without injury problems of his own. Gareth Bale is ruled out with an ankle injury and Toni Kroos and Álvaro Morata are also missing from the 19 man squad that was named by the Real Madrid coach on Friday. Luis Enrique was obviously delighted by the news of the return of his captain during his pre-game press conference on Friday at the Ciutat Esportiva. “The biggest news is that we’re getting [Andrés] Iniesta back, which has extra importance since he’s our captain. If there’s one player who helps most with our style, it’s him,” revealed the Barça boss. The blaugranes are unbeaten in their last six league matches, their last Liga reverse coming on 2 October away at Celta Vigo. Luis Enrique’s team have, however, just picked up two points from the last six following draws against Málaga and Real Sociedad. Real Madrid are undefeated in their last 25 games in the league and have won their last six in a row in La Liga. The last time they were denied victory was on the same day as Barça’s defeat at Celta with Basque side Eibar holding them to a 1-1 draw in the Bernabéu. Victory for the blaugranes would be number 50 in the league against Real Madrid at Camp Nou. 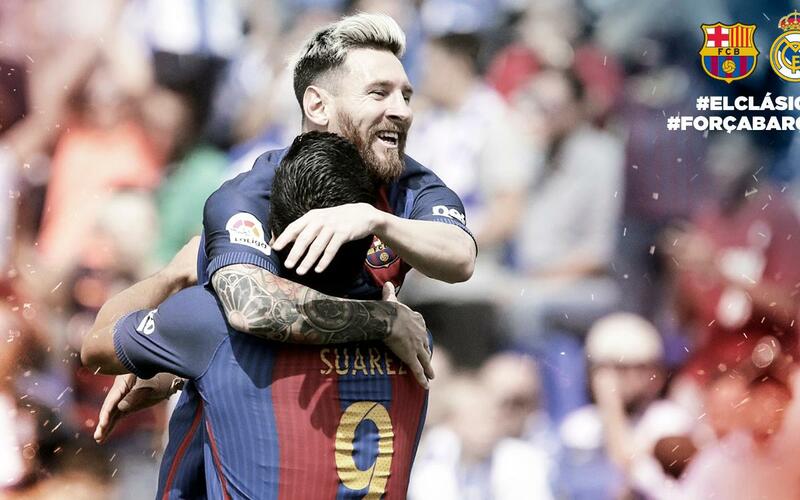 In 86 matches, Barça have recorded 49 wins, drawn 17 times and lost on 20. Last season Real Madrid left with a 2-1 victory in the league, only their second at Camp Nou in the last eight seasons. Barça have only lost 3 of their last 13 Clásicos at Camp Nou in all competitions.